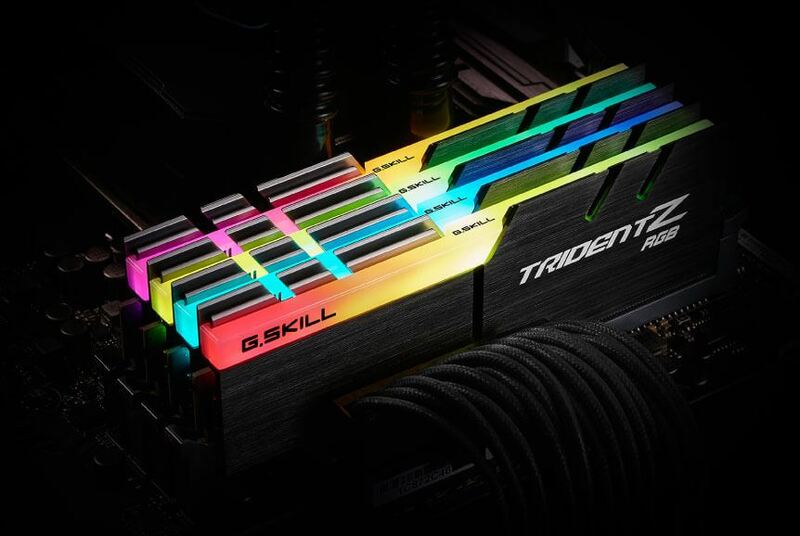 Cutting-edge specifications, intelligent cooling, and carefully crafted aesthetics: The Rampage VI Extreme artfully tames Intel's X299 platform to deliver beastly performance and redefines what it takes to be a flagship motherboard. 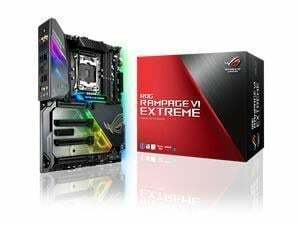 Rampage VI Extreme features a duo of onboard 5050 RGB headers and an addressable header that can be connected to compatible lighting strips, fans, coolers, and PC cases, creating a new world of illumination possibilities. 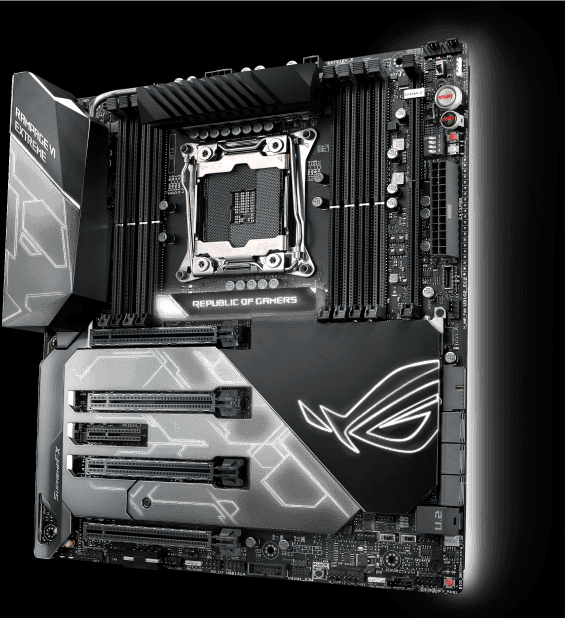 Rampage VI Extreme motherboards are now equipped with all-new LiveDash — a built-in OLED panel that displays useful information and customizable graphics. During the power-on, self-test (POST) phase, LiveDash shows key progress stats, in simple language and via traditional POST codes. Then, during normal operation, the vibrant panel shows a choice of CPU frequency, device temperatures, fan speeds or information from the Water Cooling Zone. You're also able to customize the default LiveDash GIF, so it'll display your own image or animation. 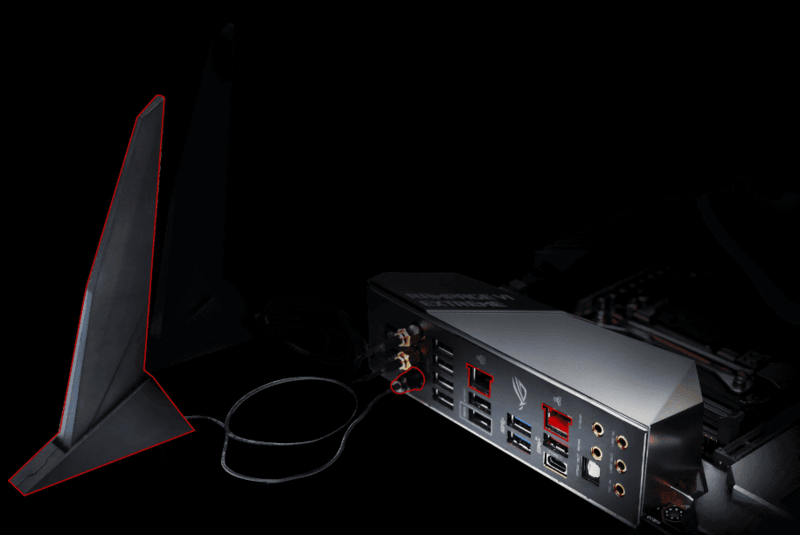 Rampage VI Extreme is engineered with the very latest 802.11ad (WiGig) Wi-Fi* for ultrafast, lag–free wireless connections of up to 4.6Gbps**, delivering smooth streaming of 4K UHD video and faster, slicker online experiences. 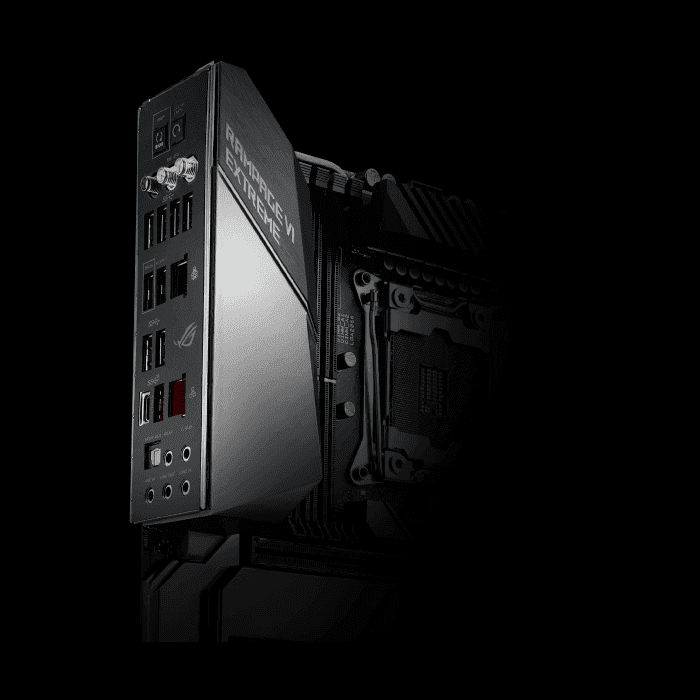 The Rampage VI Extreme has provision for three M.2 drives to make the most of Intel's IRST and VROC options. 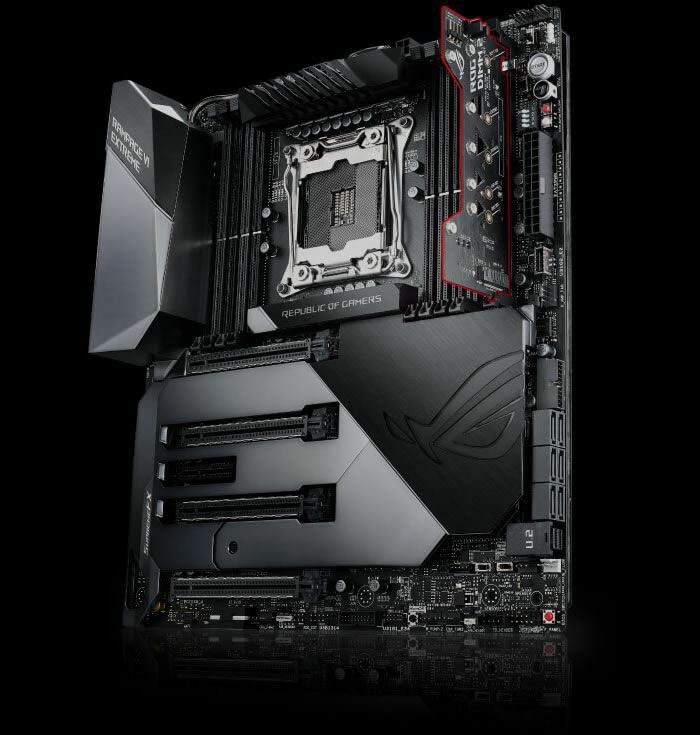 Two ride our DIMM.2 module next to the memory slots, while one slots under the ROG Armor. A VROC array can be configured by pairing the DIMM.2 slots, and IRST RAID can be configured by pairing one DIMM.2 slot with the onboard M.2 slot. 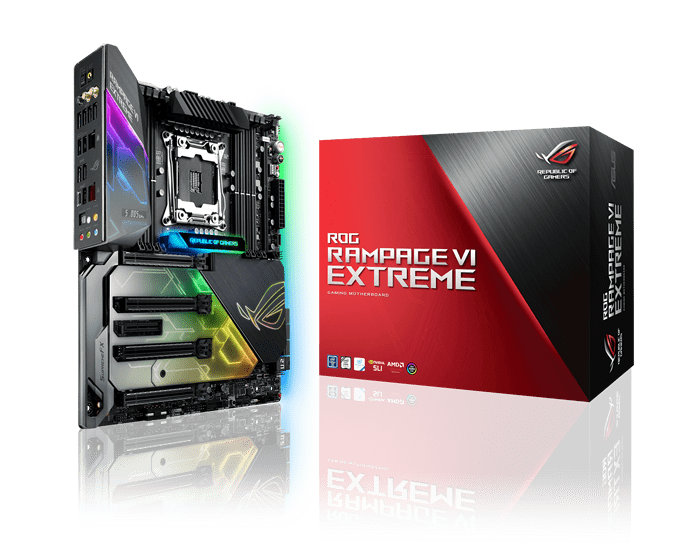 Unleash the Rampage VI Extreme Virtual RAID on CPU (VROC) with the addition of an ASUS Hyper M.2 X16 Card*, which allows you to attach up to four PCIe® 3.0 x16 M.2 drives — for a total bandwidth of up to 128Gbps. PCH-based RAID arrays are bottlenecked by the 32Gbps limit of the DMI bus. VROC obliterates that limit by allowing you to utilize CPU PCIe lanes to configure a bootable RAID array that can transfer data at insane speeds. 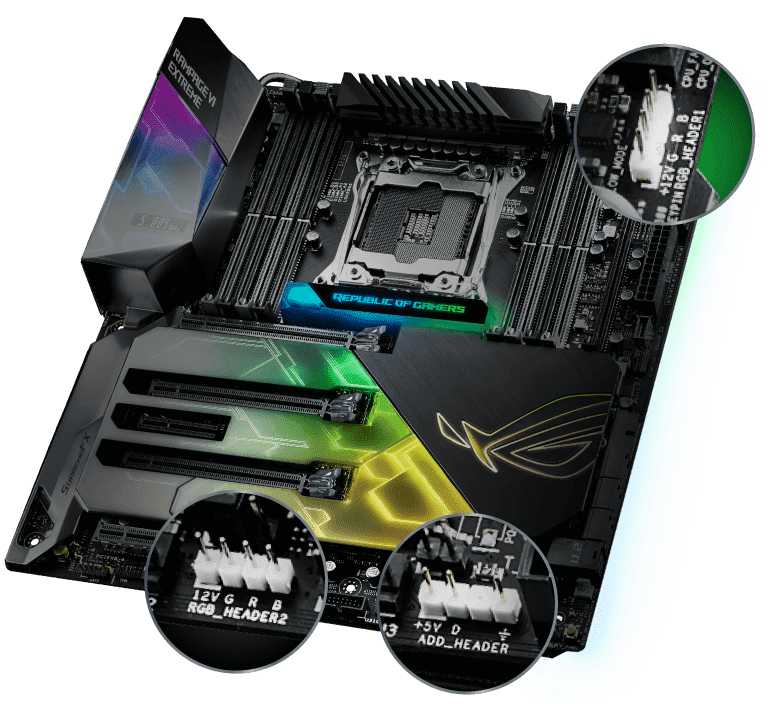 With optimized trace paths for time-aligned signaling and minimal crosstalk, Third-generation ASUS T-Topology offers enhanced memory stability and compatibility, allowing support for memory speeds of DDR4-4200 MHz and beyond. 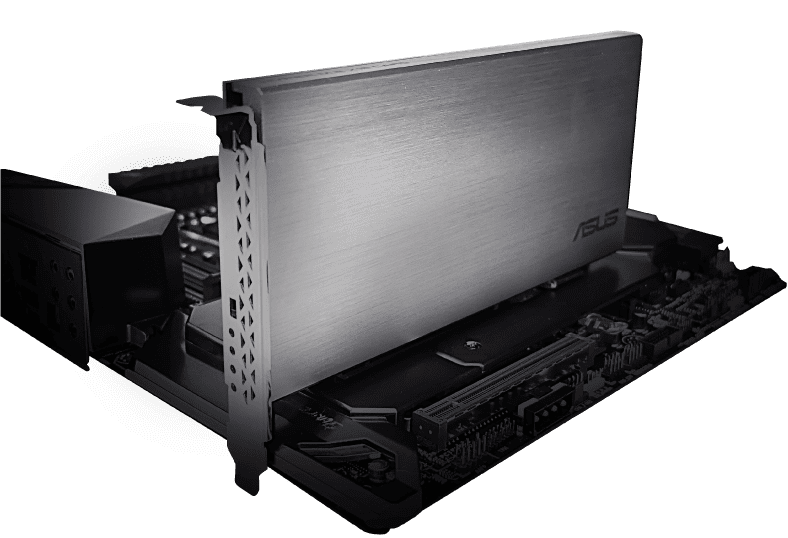 ROG's patent-pending I/O shield is capable of withstanding electrostatic discharge up to 12kV, and is pre-fitted to make it even easier to install the motherboard. Its sleek new design looks as good as it performs. 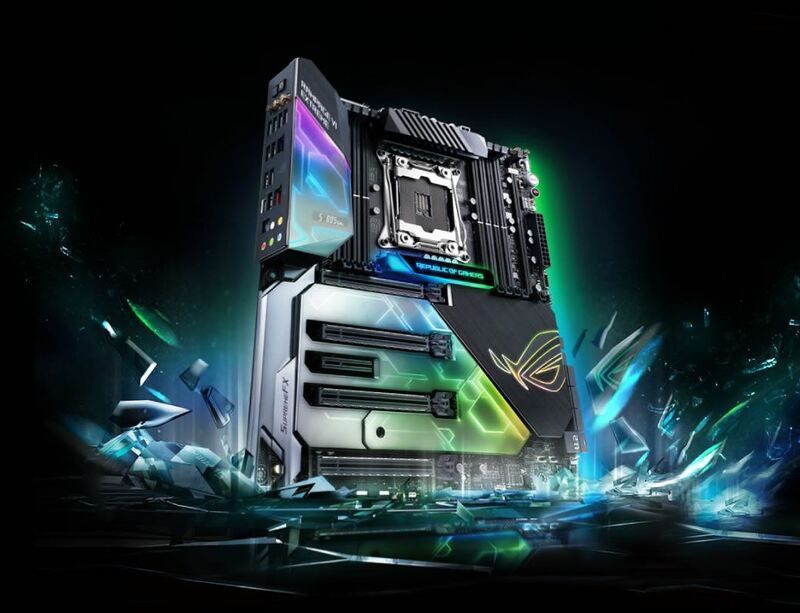 * The Intel® Turbo Boost Technology 3.0 Support Depends on the CPU types. *2 When M.2_1(DIMM.2) comes from PCH, It will be shared withPCIex4slot.